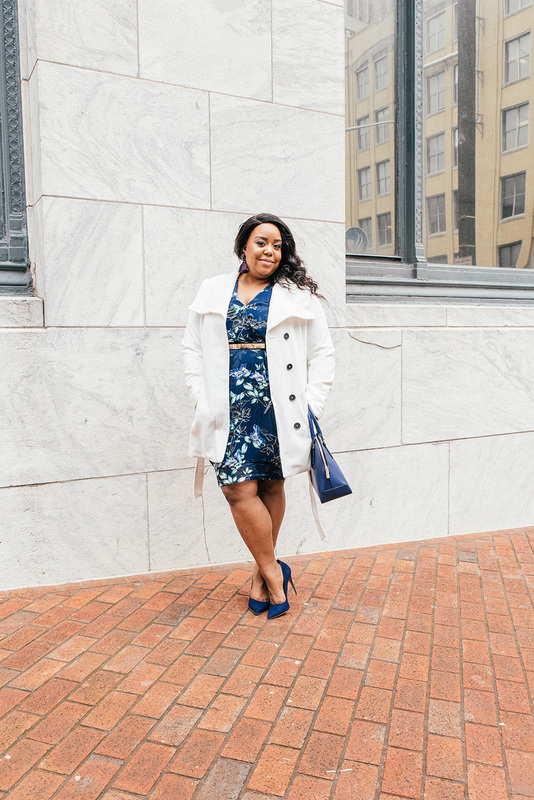 Back in February I worked with image consultant Shana Robinson for Kendra’s Lewis’s brand photo shoot. 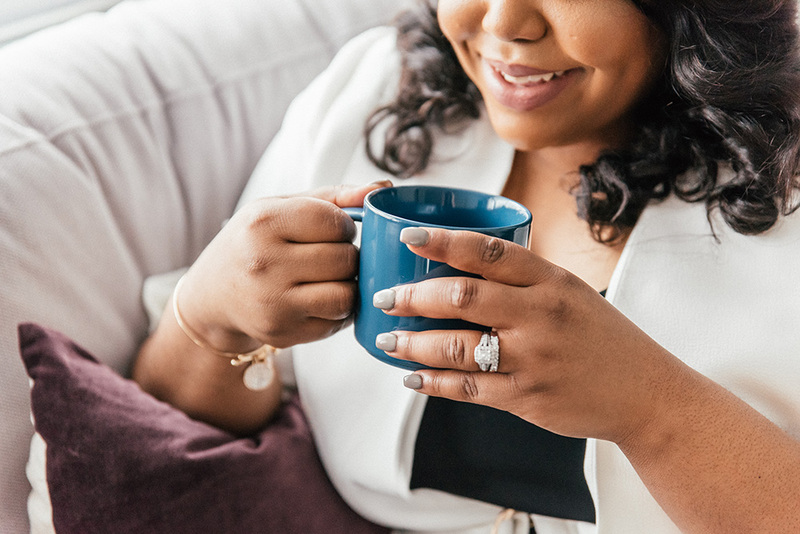 Shana and I first worked together in December 2018 (see the photo shoots here and here), so it was exciting to be able to merge our talents again for a client! Shana advised Kendra to select fresh, new colours that better reflected her brand, and after bouncing a few ideas around she suggested a palette of navy, teal, emerald, plum and with hints of mauve. I fell in love and got started on the mood board for her photo shoot which you can see below. After learning what a business owner does, I always like to find out what their work day looks like because it’s important to convey that through a brand photo shoot so their client’s get a sense of what it’s like to work with them. Most entrepreneurs need classic working on a laptop or office shots, because so much of running a business is online these days. 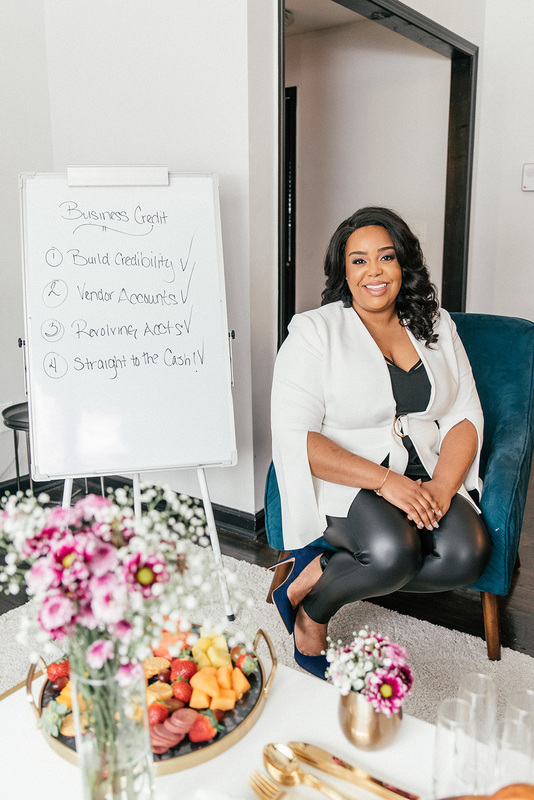 But something that made Kendra’s photo shoot different from every other client I’ve worked with is that she speaks and hosts in person seminars. 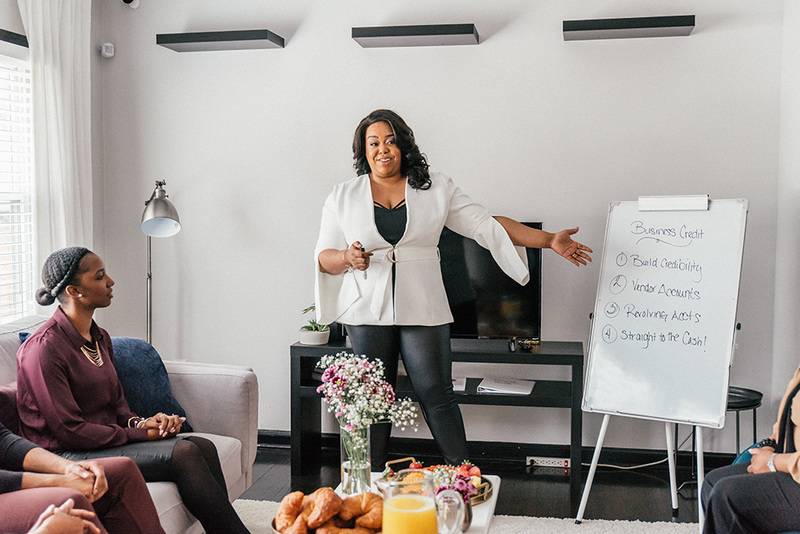 She said she is known for captivating an audience with her big personality and writing on a whiteboard, that was her signature move during a talk. Knowing these details I told Shana we somehow need to showcase that she is a speaker in her photo shoot. The only way to do that was to stage a fake event! So I went out on a hunt for a whiteboard, and Kendra invited several of her family members and business friends to participate in her brand photo shoot. It was a balancing act directing Kendra, letting her do her thing, giving feedback to her audience and navigating the small space we were shooting in. When I meet with clients I feel a bit like a journalist. I need to dig and ask lots of questions to find out all the little details that make a business owner unique. 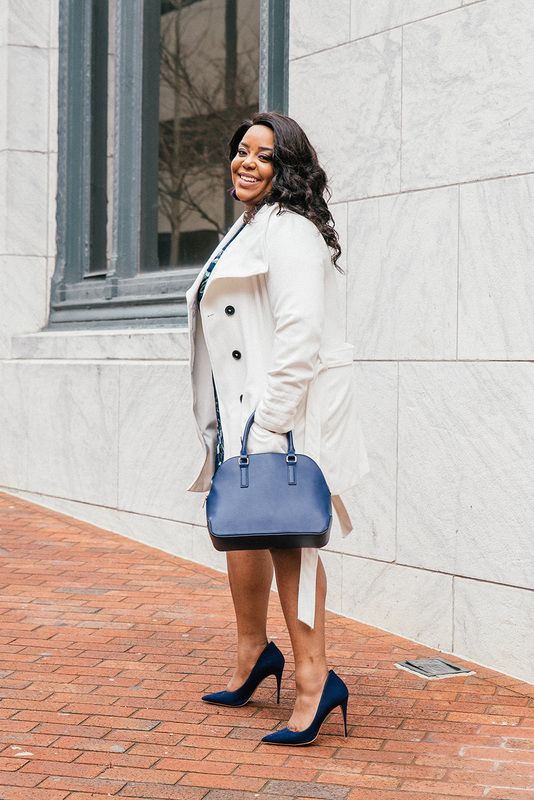 With Kendra I found out she absolutely loves brunch and designer shoes! I know these may not seem like important details when it comes to a brand photo shoot, but my mission is to make every photo shoot one of a kind. So with the intimate event I sourced props and styled a brunch table, which for sure had to include a pitcher of mimosas. I always aim to capture a variety of angles and poses, I like there to be a mix of portrait and landscape orientation, some of the subject looking at the camera and some looking away, and detail shots. Having eeeeeevvvvery photo be of someone’s face directly looking at the camera & smiling gets repetitive real quick. We also found a beautiful marble-y cement wall to use as a backdrop for some of her outdoor photos. I love that it was clean and modern and made her floral navy dress and chic white coat pop against it. This last look had a blogger “street style” vibe to it, basically conveying Kendra is a woman on the go! And you may be wondering, why is she holding a Target bag?? Well Target is one of her biggest clients, which is pretty freaking legit! And we weren’t going to have Kendra stand in front of a Target sign, instead I thought having her holding one of their shopping bags was a better way to incorporate their logo. 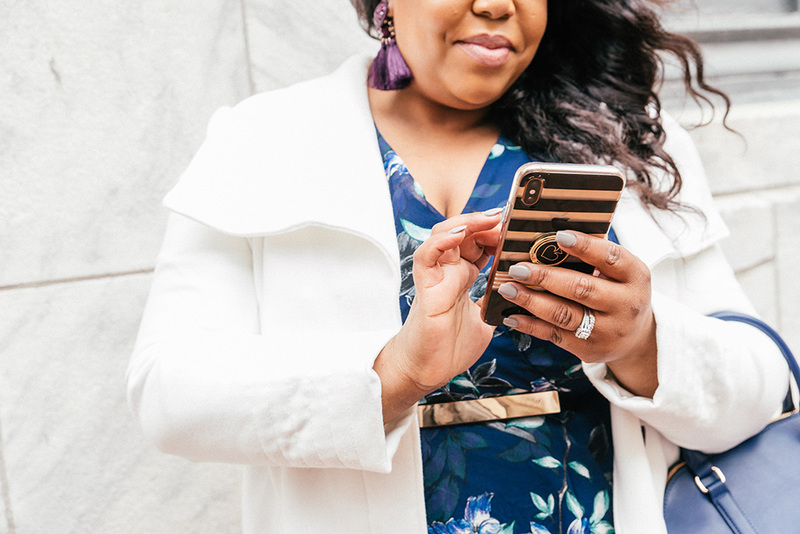 Shortly after I sent Kendra her gallery of photos, she shared this story on her Facebook page with one of her brand photos and received the most engagement on a post EVER! 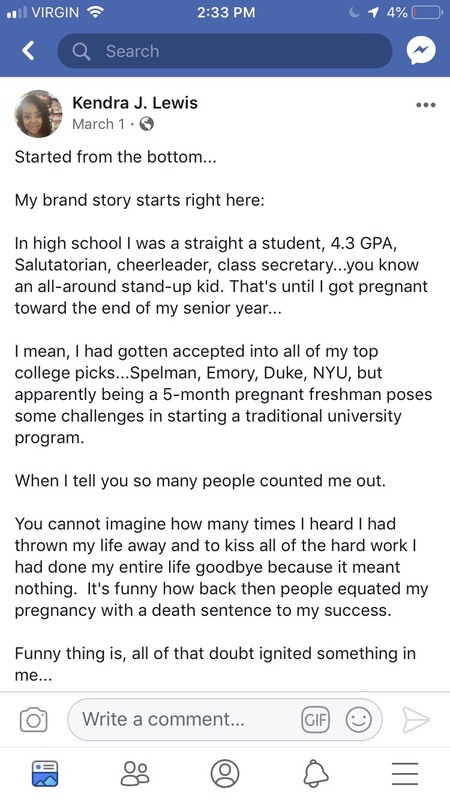 I love seeing business owners share their story and their struggles, it’s inspiring and spreads hope to other aspiring entrepreneurs they can do it too. For more info on my packages and pricing click here. To book a consultation call reserve a time on my calendar here. Ready to kickstart your brand? Grab my free brand questionnaire!